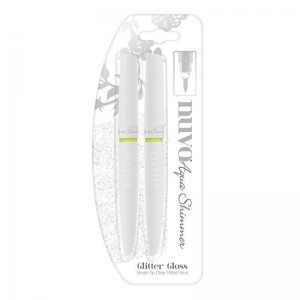 We have another amazing addition to our Nuvo Pen Collection this time we are bringing out the Nuvo Aqua Flow. 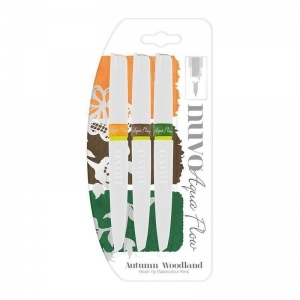 This range consists of 4 colour packs (each coming with three pens), 1 glitter pack and one water brush pack (each coming with two pens each). 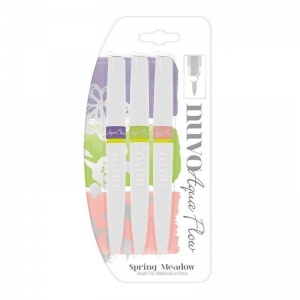 Nuvo Aqua Flow pens are uniquely designed to create a watercolour effect without the hassle and mess. 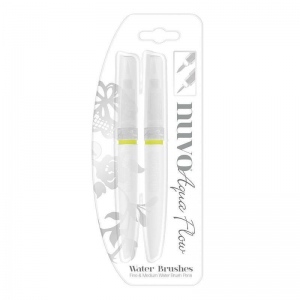 These highly pigmented water-based pens leave you with a bright, vibrant finish. The perfectly formed watercolour brush nib makes the pens extremely versatile and is perfect for adding small detail or colour washing large areas. Each pen has its own reservoir complete with a non-drip valve.